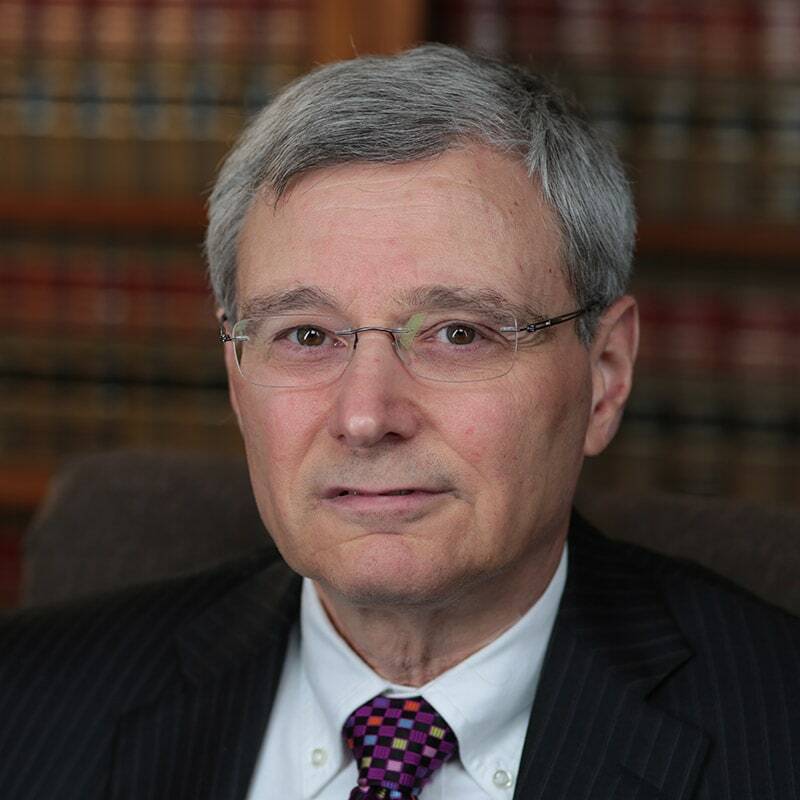 Mr. Coppede began his legal career as a law clerk to the Honorable Alan B. Johnson, United States District Court for the District of Wyoming. He is a partner with Hickey & Evans where he has an active trial practice which focuses on representing businesses and individuals in a wide variety of disputes, including commercial litigation, contract actions, personal injury, business torts, environmental litigation, employment law disputes, civil rights issues, and insurance coverage disputes. He represents both employers and employees in workers’ compensation matters before the Office of Administrative Hearings. He represents secured and unsecured creditors in Chapter 7, 11, 12 and 13 matters. He represents creditors in judicial and nonjudicial foreclosure of real estate matters, loan modifications, forbearance agreements, replevin actions to recover collateral, and garnishment proceedings. He practices in all state and federal courts in Wyoming and Colorado, and various state agencies, including the Wyoming Environmental Quality Counsel, the Wyoming Board of Equalization and the Wyoming Office of Administrative Hearings. His trial practice includes representing both defendants and plaintiffs. Ahrenholtz v. Time Ins. Co., 968 P.2d 946 (Wyo. 1998). Haines v. Fisher. 82 F.3d 1503 (10th Cir. 1996). Hiatt v. Union Pac. R.R., 65 F.3d 838 (10th Cir. 1995). Phelan v. Laramie County Cmty. College Bd. of Trustees, 235 F.3d 1243 (10th Cir. 2000). Bintner v. Burlington N., 857 F. Supp 1484 (D. Wyo. 1994). Colo. Cas. Ins. Co. v. Sammons, 2007 WY 75 (Wyo. 2007). Erpelding v. Lisek, 2003 WY 80 (Wyo. 2003). Hurst v. Metro. Prop. & Cas. Ins. Co., 2017 WY 104 (Wyo. 2017). Cent. Wyo. Neurosurgery, LLC v. Barta-Iso Aviation, 2014 U.S. Dist. LEXIS 162344 (D. Wyo. Nov. 17, 2014). Case v. Outback Pipe Haulers, 2007 WY 181 (Wyo. 2007). Century Ready-Mix Co. v. Campbell County Sch. Dist., 816 P.2d 795 (Wyo. 1991). Farmers Ins. Exch. v. Dahlheimer, 3 P.3d 820 (Wyo. 2000). Harston v. Campbell County Mem. Hosp., 913 P.2d 870 (Wyo. 1996). Sierra Club v. Wyo. Dep’t of Envtl. Quality, 2011 WY 42 (Wyo. 2011). Southwestern Pub. Serv. Co. v. Thunder Basin Coal Co., 978 P.2d 1138 (Wyo. 1999). Stalkup v. State Dep’t of Envtl. Quality, 838 P.2d 705 (Wyo. 1992). Teton Builders v. Jacobsen Constr. Co., 2004 WY 147 (Wyo. 2004). Waid v. State, 996 P.2d 18 (Wyo. 2000). Wyoming Dep’t of Transp. v. International Union of Operating Eng’rs Local Union 800, 908 P.2d 970 (Wyo. 1995). Peerless Indem. Ins. Co. v. Swanner, 651 Fed. Appx. 785 (10th Cir. 2016). Buehner Block Co. v. Wyo. Dep’t of Revenue, 2006 WY 90 (Wyo. 2006). Howton v. Mid-Century Ins. Co., 819 F. Supp. 1010 (D. Wyo. 1993). Sabins v. Commercial Union Ins. Cos., 82 F. Supp. 2d 1270 (D. Wyo. 2000). B.A.L. v. Laramie Cty. Sch. Dist. No. 1, 2016 U.S. Dist. LEXIS 194474 (D. Wyo. Nov. 30, 2016). McCarty v. Liberty Mut. Ins. Co., 2017 U.S. Dist. LEXIS 220219 (D. Wyo. Feb. 3, 2017). Melendez v. Colo. Cas. Ins. Co., 2012 U.S. Dist. LEXIS 191677 (D. Wyo. Jun. 7, 2012). Seeley v. St. Anthony’s Catholic Church, 2013 U.S. Dist. LEXIS 61777 (D. Wyo. Apr. 26, 2013).